At any given moment, clinicians have access to a variety of resources designed to make their job more efficient. These resources range from static clinical references to fully actionable, dynamic, digital assistants. The modern computer era has made medical information more readily available than ever before. Choosing and implementing the right tools can be a daunting task. In many cases, there are multiple tools to accomplish the same goals and several that overlap, which can be a nightmare for a healthcare informatics team to manage effectively. Resources can also be prohibitively expensive or exceptionally narrow-targeted, diminishing potential value-add. In a recent publication1, Sperber et al. examined the key needs for successful implementation of genetics in the clinical workflow. The goal of the study was to examine and synthesize challenges to implementing genomics into the medical practice. 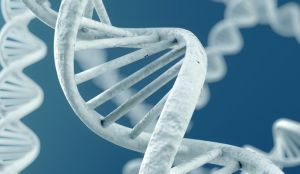 Six institutions, each part of the National Human Genome Research Institute (NHGRI)-funded network called IGNITE (Implementing GeNomics In pracTicE), were examined as part of this dialogue: Duke University School of Medicine, Indiana University School of Medicine, Icahn School of Medicine at Mount Sinai, University of Florida College of Pharmacy, University of Maryland School of Medicine, and Vanderbilt University Medical Center. Each IGNITE site developed a project that involved implementing genomic data into the routine care of patients and evaluated outcomes. In particular, both Indiana University and Vanderbilt University developed programs to examine the value and benefit pharmacogenetics and its application to patient safety. To address these challenges, healthcare systems must be innovative and place a priority on infrastructure that will support implementation of genomic medicine. For example, it is well known that EMR vendors communicate roughly the same information, although the organization of data is unique to each system. Healthcare organizations can choose to implement data warehousing and clinical decision support tools provided by their EMR provider, or another third party, to successfully store and interpret genomic results directly within their EMR. By doing this, healthcare systems would also contribute to overcoming the second described challenge because they would inherently be providing guidance to clinicians on how to use genomic data in their daily practice. Finally, communication with patients is key to successfully making genomic medicine the standard of care, whether that be implementing a pharmacogenomics program for improved medication management or incorporating targeted therapy into cancer care based on tumor genomics. Patients are taking an active role in their care today and want to be involved in their own treatment plan. Genomic education will create more engaged patients in the greater healthcare system, furthering the advancement of medicine. YouScript brings all three challenges together in one platform. Our software is integrated with all the major electronic health records, keeping precision prescribing at every moment medication decisions are made. Each clinical recommendation is backed by package insert references, PubMed clinical literature and other peer-reviewed evidence full text. YouScript also has a patient-facing app allowing patients to take a proactive approach in managing their medications and taking their results with them to providers that are in other networks. Integrating and implementing a pharmacogenetics strategy is not an easy task, but keeping in mind the few key points highlighted in this article can make that process go smoothly for all involved. I am a PharmD who is certified in pharmacogenomics. I collaborate with physicians to establish Pharmacist led MTM clinics which include PGx into primary care offices as well as hospitals. I would like to speak with a representative about using YouScript in these facilities.